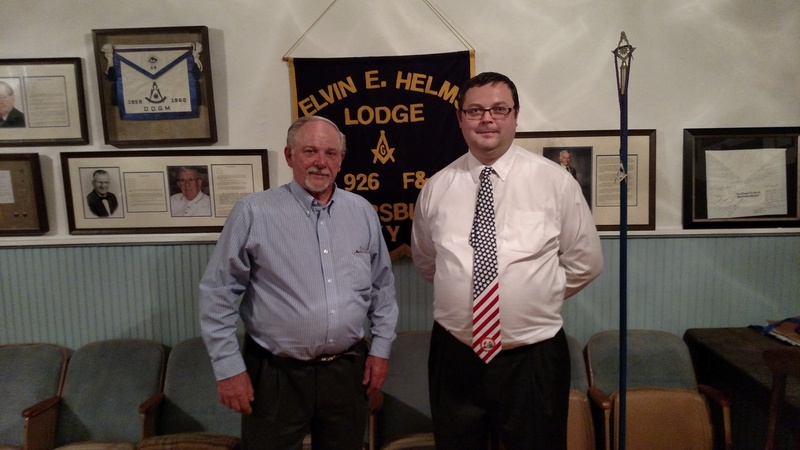 The Brothers of Elvin E. Helms No. 926 have long said that if you miss one meeting you miss a lot. That would be an understatement for our May 10, 2016 Stated Communication. Brother Sammy Meyerratken, our Entered Apprentice, turned in his proficiency, which was accepted unanimously by the Brothers present. He will receive the Fellow Craft Degree on Thursday, June 30. A fellowship meal will be served at 6:30pm, followed by Degree work at 7:30pm. Worshipful Brother Jim Herzog will confer the Degree. Our guest speaker for the evening was Worshipful Brother Donald I. Crews of Nova Caesarea Harmony No. 2 in Cincinnati, OH. N.C. Harmony No. 2 has a storied and star-studded history spanning its 225+ years. Brother Crews is the author of Cincinnati’s Freemasons, which is a great source of information. His presentation covered an amazing quantity of local history, how Freemasonry traveled to Ohio, the founding of the Most Worshipful Grand Lodge of Ohio, the founding of the Most Worshipful Prince Hall Grand Lodge of Ohio, through contemporary times. Brother Crews’s book is very reasonably priced and would be an excellent addition to any Masonic Library. An autographed copy if now available in the Elvin E. Helms Library. Brother Crews was also presented with an Honorary Membership in Elvin E. Helms No. 926. 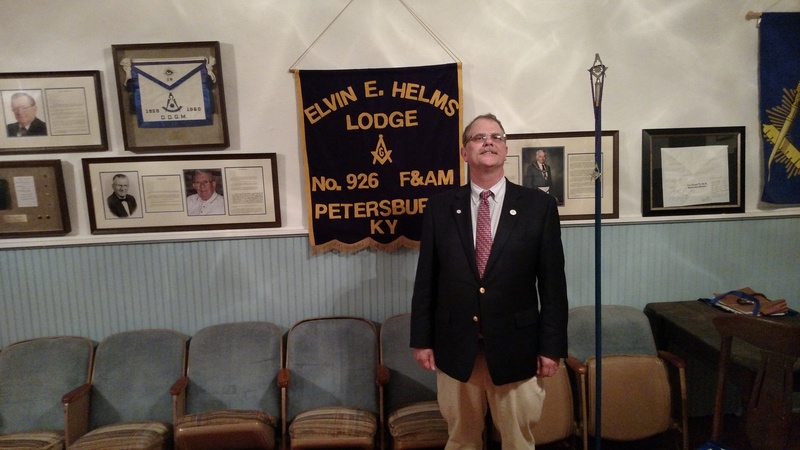 Brother Ed Tanner, P.M., Secretary received the Bluegrass Ritualist pin. Congratulations Brother Ed! Brother Adam Gross, P.M., Senior Deacon received the Bluegrass Senior Ritualist pin. Congratulations Brother Adam! 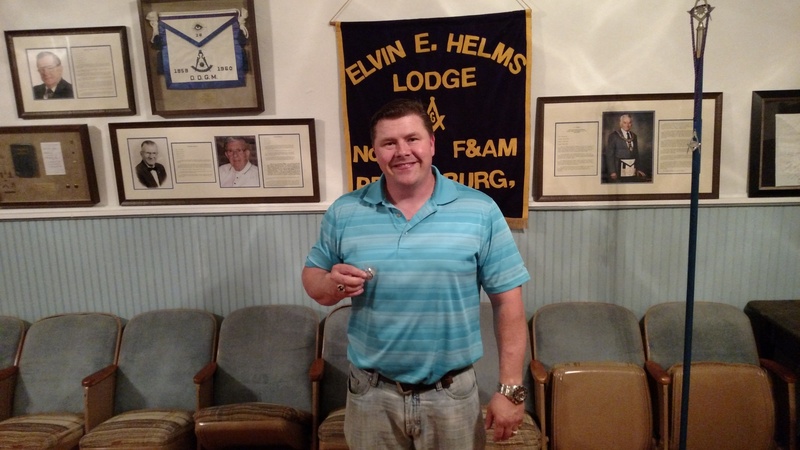 Brother Jason Wallace, P.M., Junior Warden took the Grand Master’s Constitution Quiz on behalf of Elvin E. Helms No. 926 and passed with flying colors. Worshipful Brother Dan Kemble, District Deputy Grand Master, District 18, Grand Lodge of Kentucky, presented Brother Jason with his Constitution Scholar pin. He is pictured above showing it off. Elvin E. Helms No. 926 will also be sponsoring a trophy at the 7th Annual 1200 Club Car Show. This event is organized annually by Jeff and Vicki Moermond. Worshipful Brother Jeff Moermond is also the District Deputy Grand Master, District 19, Grand Lodge of Kentucky this year. Proceeds from the car show will equally benefit the Cincinnati Shriner’s Hospital for Children and the Scottish Rite RiteCare program. The car show will be held in the parking lot of Furniture Fair in Cold Spring, KY on Saturday, June 4th from 9:00am until 4:00pm. For directions, click here. “Any subordinate Lodge may, at its discretion, with the consent of a majority of the members present and duly noted in its minutes, elect to conduct all Lodge business on any of the three degrees of Masonry (Entered Apprentice, Fellow Craft or Master Mason). Such election shall remain in force until the Lodge, with the consent of a majority of the members present and duly noted in its minutes, shall revoke such election. In all instances, only Master Masons shall have the right to vote. Unless a subordinate Lodge affirmatively acts to elect to conduct its business on the Entered Apprentice Degree or the Fellow Craft Degree, all Lodge business shall be done in a Lodge of Master Masons. “In all cases every ballot shall be strictly secret, whether a favorable or unfavorable ballot was cast: and every brother shall be secured in his right to cast his ballot privately for or against a candidate, as between himself and his own conscience. If anyone shall make known or reveal his or another’s vote in secret ballot he shall be guilty of unmasonic conduct and subject to trial. Balloting is the exercise of a personal right and the performance of in individual duty. No member shall act for another in casting a ballot. Who Votes. Every member of the Grand or a subordinate lodge to which he belongs, if eligible pursuant to Section 104, must vote, if present, unless excused. Candidates for the degrees may be voted upon collectively. If, upon a collective ballot one or more unfavorable ballots appear, then each candidate must immediately be voted upon separately the same as if no ballot had been taken. Another great part of the Grand Master’s Lodge of Excellence Award for this year is the Bikes for Attendance program. 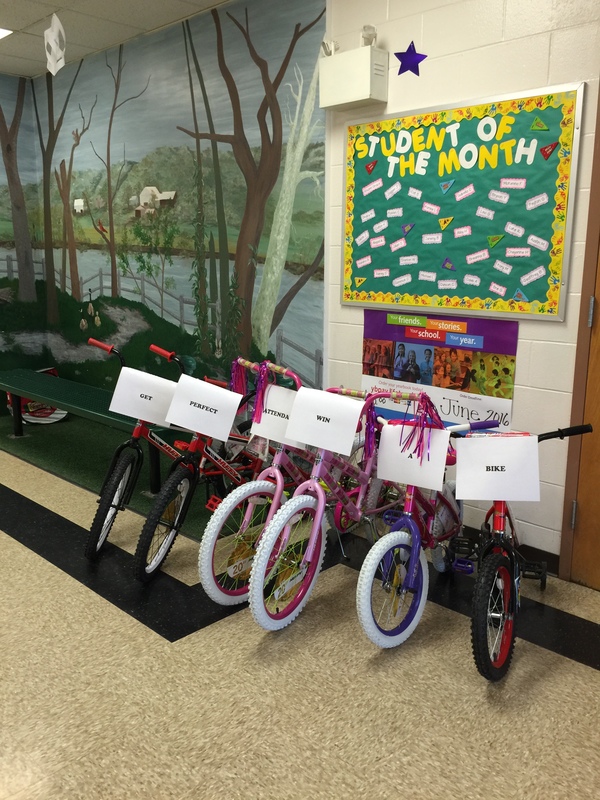 Lodges across the state of Kentucky have been encouraged to place bicycles in elementary schools to be awarded for perfect attendance, encouraging and motivating young students not to miss school. We at Elvin E. Helms No. 926 thought this was a great program to participate in and have done so. We delivered 6 bicycles to Kelly Elementary School to be awarded to perfect attendance students at the end of the school year. Starting off the summer break with a new bicycle will be amazing for our 6 best attending students.